Preventive dentistry at Geelong dental focuses on family dental hygiene practices. Our dentists can help patients preventing the beginning or progression of tooth decay and any dental related disease. Geelong dentists preventive dentistry involves at home dental care and dentist care at our clinic in Geelong. Our dentist in Geelong often looks at early signs of periodontal disease, tooth decay, and other dental changes in the soft tissue of the mouth that could lead to dental disease or oral cancer. Around Geelong Dental Care provides all aspects of affordable Preventive dentistry for families. Our tooth health care aim is to prevent tooth related dental problems like tooth ache or tooth pain to all our patients. Our dentist aim is to find the root cause of the problem and treat the cause, rather than treating the disease process at a later stage. Geelong dentists use current technology and new techniques at our dental clinic. Dentist in Geelong objective is to stop the development of oral disease or to find it at an early stage of disease progression. Gum disease, decay of tooth and occlusion are examined and dental treatment plans are provided by the to the patient for a predictable and long term prognosis by our dentists. Geelong dentists can modify the diets and the oral hygiene followed by patients by finding their lifestyle and the cause of the dental problems, and therefore avoid any complex dental work in the future. Preventive care dentist in Geelong aim to use minimal intervention techniques to prevent ongoing dental diseases. Preventive dentistry measures are recommended by our dentist in Geelong during initial dental consultations when you visit our dental clinic. 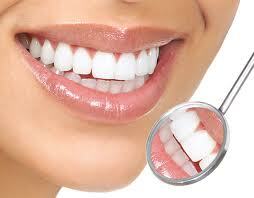 Preventive dentistry work can be done by Geelong dentists and Norlane dentists. Prevent toothache and any dental related tooth problems using our Dental Check-ups, Fluoride treatments, X-Rays’s of mouth, Scale and Clean and Dental Sealants, Please call our dentists in Geelong for your next dental consultation.